In the past few years we’ve noticed some big brands launching redesigned logos that owe a lot to early 20th century graphic design. Taking a Bauhaus-influenced, geometric sans-serif logotype approach, here are some of our favourite examples of this trend. Ditching the blokey, hex nut diy motif and moving towards a more home consumer goods feel, the US based company controversially replaced the ampersand with a plus symbol. We’re not convinced about the longevity of this typographic element but in general the softer feeling emblem is an interesting move for a power tool brand. The geometric typeface lends a much more modern feel than the old condensed bold type but in this instance we think this logo could be revisited before too long. A fairly subtle re-design of the cracker king’s logo, we love the clean type, use of space & very elegant superscript ‘s’. In this case we think the use of retro looking geometric typeface is a wholly appropriate way of establishing the brand as a long standing cupboard staple. Falling sales & well publicised, hugely costly teething problems with new website did nothing for Marks and Sparks reputation. In a bid to tidy up their bewildering family of sub-brands (Your M&S, Simply M&S, M&S Food, M&S Money etc.) the ubiquitous retailer unveiled a simple black and white marque. Moving away from Helvetica Neue to a custom cut geometric font the brand are likely to have an eye on competitors with smarter identities. Adding ‘Est. 1884’ below reminds customers of the company’s pedigree. No accident that we’ve inserted this one next to the M&S logo, the similarities are striking. The well respected paper maker moved away from a symbol depicting paper moving through rollers to a logotype using a custom typeface not dissimilar to Gill sans in uppercase characters but closer to humanist forms, such as Meta, in lowercase. The fully justified type creates a interestingly awkward balance that prevents the logo looking too austere & mundane. The use of the period to both separate the initials & dot the i is a classy flourish. Our favourite of this bunch for being such a dramatic & well considered overhaul. 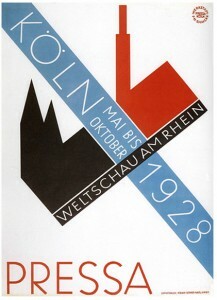 These logos & the typefaces they use trace a clear heritage from geometric graphic design forms from the early 20th century, most notably the Bauhaus school – responsible for shaping much of the twentieth century art, design & architecture. 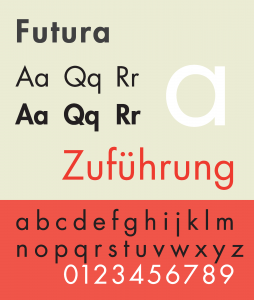 Designers including Herbert Bayer (Universal, Erbar), Paul Renner (Futura), Eric Gill (Gill sans), Sjoerd Henrik de Roos (Nobel) & Jan Tschichold (Transit, Zues) created new typefaces with the specific aim of clear legibility at larger sizes. These fonts were designed to be used primarily for signs & posters and don’t lend themselves to body copy. That M&S ampersand is lush, though. The M has been made to look softer and the ampersand symbol is drawn to be more ribbon like, terminating in a kiss. The S has been made more curvaceous and less square. These changes allow negative space to flow more easily and evenly around the letters. The result is more coherent with a gentler more elegant character.